HSBC Personal Line of Credit – How to Apply Online? Are you looking for a personal loan with the lowest APR? With the HSBC Personal Line of Credit, you can borrow for a maximum amount of $25,000 (premier) for home improvement, debt consolidation, vacations and more. It’s a great type of loan which gives you control of how much money you will use yet you get charged low interest. Read on to find out how you can apply for this type of loan. 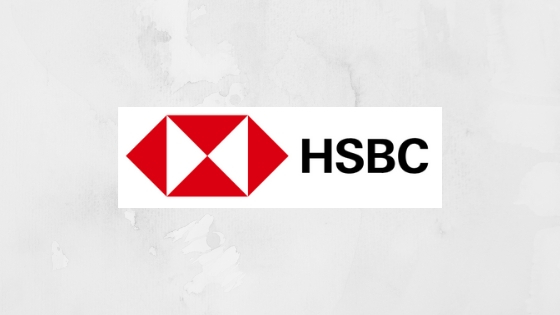 HSBC provides clients with secure and worry-free banking, not to mention competitive rates. In this article, we’re going to look deeper into the benefits that come with the HSBC Personal Line of Credit. First, you need to understand that Personal Line of Credit is something similar to a credit card. You have a choice to use everything or not, but you must pay the annual interest regardless if you used the fund. This is actually nice, especially if you don’t have an idea how much money you need for simple home renovation or vacation overseas. What’s great about the HSBC Personal Line of Credit is, you only pay for a fraction of interest, that is as low as 8.24% APR for premier accounts. Other banks would charge higher than this plus other fees but HSBC provides competitive rates starting from the lowest up to 16.24 APR. Another reason to get this type of loan is the easy access to funds. Enjoy credit limits of $25,000 and above for those with higher credit scores. The process is also straightforward and doesn’t require much for an applicant. Applying for this type of loan is incredibly easy. First, you need to have existing savings or checking account with HSBC. The Personal Line of Credit is actually a relation benefit so you need to have an account with HSBC first. To apply, you need to be at least 21 years old, employed and with decent deposit amount in your account. You have a choice to apply through their website, through phone or by visiting the closest branch. If you choose online, you need to create an account in the HSBC website first to fill up the application for HSBC Personal Line of Credit. Provide your personal information like complete name, address and net income. Note that credit limits are set by HSBC, depending on your credit score and many others. The HSBC Personal Line of Credit is an absolutely budget-friendly option. It has low APR, no annual fee, no cash advance fees and no balance transfer fees. The lowest APR you can get is actually 8.24% but after 45 days, it can only increase to 10.24%. Order the HSBC Personal Line of Credit if you badly need money for home improvement, travel or debt consolidation. Unlike other loans, this is budget-friendly and doesn’t have towering interest. Check out the HSBC website for more information. Citibank Online Personal Loan – How to Apply?